Planned Parenthood is always on script when it knows the media is watching. The script paints a picture of an organization that cares—no matter what. It bills itself as a champion and savior of women, a friend to adolescents, and an irreplaceable, trusted health resource. But what if someone caught Planned Parenthood officials on video showing their true colors—speaking to those they believe to be in their camp, and blowing the Planned Parenthood facade wide open. 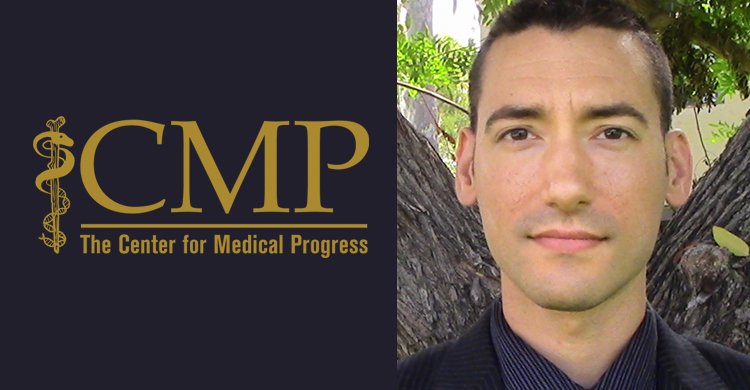 That’s precisely what David Daleiden, the founder of The Center for Medical Progress accomplished through CMP’s 30-month investigative study of Planned Parenthood’s baby body parts business. CMP’s Human Capital video series provides a rare glimpse into the closely guarded Planned Parenthood baby body parts business. The videos feature inside conversations with high-level PP employees—conversations about procuring body parts and the compensation the abortion giant wants to receive in exchange. The viewer sees shocking images of a PP pathology lab where pieces of babies just ripped from their mothers’ wombs sit in clear pie plates. They are illuminated from underneath. Here technicians eagerly search for body parts that will be sent to researchers, sometimes in piecemeal fashion—glands and organs to one location, skin to another. 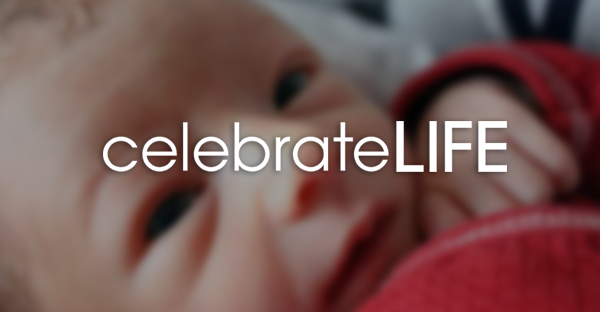 As the videos roll, a picture emerges of a cold-blooded, callous organization so focused on increasing its economic bottom line that its abortionists plan their workday around procuring saleable specimens. PP officials acknowledge willingness to prolong painful abortions and alter abortion procedures in order to obtain more intact fetal cadavers for harvesting the body pieces that are on the day’s list of income opportunities. We see the real PP—the company that, for economic gain, invited procurement technicians inside its facility to cut an aborted baby boy’s face open with scissors to harvest his brain—the same intact baby boy whose heart was being manipulated to beat minutes earlier by tapping it with a medical instrument. The video contents are shocking from start to finish, with jaw-dropping statements coming from the highest levels of PP. Dr. Mary Gatter, during negotiations with undercover investigators about what she wants to receive for body parts procured from aborted babies, laughs and says, “I want a Lamborghini.” Gatter is president of the Medical Directors’ Council of Planned Parenthood Federation of America (PPFA). While discussing the compensation PP would want to receive for fetal parts, Gatter suggests a “less crunchy” technique for aborting first trimester babies in order to obtain more intact fetal parts. Dr. Deborah Nucatola, Senior Director of Medical Services for PPFA, describes how some abortionists will turn the baby from a head first position to a breech position before beginning the abortion to cause further dilation as the abortion progresses. This enables the baby’s head to be delivered intact, making it possible to harvest skull contents. This is the same type of fetal manipulation that is used in illegal artial birth abortions. “You never have enough dilation at the beginning of a case unless you have real huge amount of dilation, to deliver an intact calvarium [head],” Nucatola explains. “So if you do it starting at the breech presentation, there is dilation that goes on and often, the last step, you can evacuate an intact calvarium at the end,” she says. Talking about the income provided from procurement of baby body parts, Nucatola says, “I think at the end of the day, [Planned Parenthood] affiliates—they are still a nonprofit—they want to break even. And if they can do a little better than break even, in a way that, you know, seems reasonable, they are happy to do that.” Only in the evil, warped world of PP would harvesting the eyes and gonads of babies seem like a “reasonable” way to increase income. She and other PP officials expressed great concern about what would happen if the public became aware of the body parts business. “Obviously, we would have the potential for a huge PR issue in doing this,” she says to an investigator she believes is a potential buyer. “We have independent colleagues who generate a fair amount of income doing this,” VanDerhei continues. VanDerhei makes it clear that the harvesting and exchange of body parts will not be discussed in writing. “It’s an issue that you might imagine we’re not really that comfortable talking about on email,” she says. In addition to headlines, the fact that PP is likely breaking the law should be a huge concern. The sale or purchase of human fetal tissue is a federal felony, punishable by fines and up to ten years in prison. ABR’s “service fee schedule” in the video footage shows a fee of $550 per specimen for first trimester fetal cadaverous specimen procurement. The video footage also reveals a daily procurement list, known as a task page. It contains a picking list of body parts, with the gestational age of the baby who must die to provide those parts, and shipping instructions. The macabre list includes a request for liver, thymus, and skin—all from the same “donor.” That donor, it says, needs to have reached 16-20 weeks gestation. The body parts are to be packed on wet ice and shipped by FedEx priority overnight delivery. The baby’s liver and thymus are to be shipped to UMASS and the skin to Harvard. What are researchers doing with fetal tissue? Why are we paying PP to commit such atrocities? That’s what a September 29 hearing before the House Oversight and Government Reform Committee attempted to clarify. PPFA president Cecile Richards did not deny under questioning that 86 percent of PP’s non-government revenue is derived from abortion. PP’s abortion business stacked up 327,653 dead baby bodies in 2013, according to its annual report. It gulped up $528.4 million in taxpayer income, showing a year-end profit of $127.1 million—a 118 percent increase over the previous year. In the meantime, PP dramatically decreased services like breast exams and cancer screenings. Now we see that, by adding baby body parts procurement to the end of the equation, and by altering abortion procedures to obtain more saleable body parts from each little victim, PP stands to increase its profit margin exponentially. The release of the CMP videos have set off an avalanche of resistance to continued government funding of PP and opened the eyes of thousands to the depravity of the organization. We must keep the PP atrocities at the forefront of the discussion in person, in print, and on social media. We must contact our elected representatives frequently, letting them know that PP does not deserve one penny of taxpayer money; we must also insist that a full-scale congressional investigation be launched and that criminal charges be filed against PP executives. We must shine the light on PP’s baby body parts business at every turn, including when we pray and witness at PP facilities. And pray we must, without ceasing, asking our Blessed Mother to deliver a decisive victory over PP and its horrific objectification, exploitation, and killing of little children.